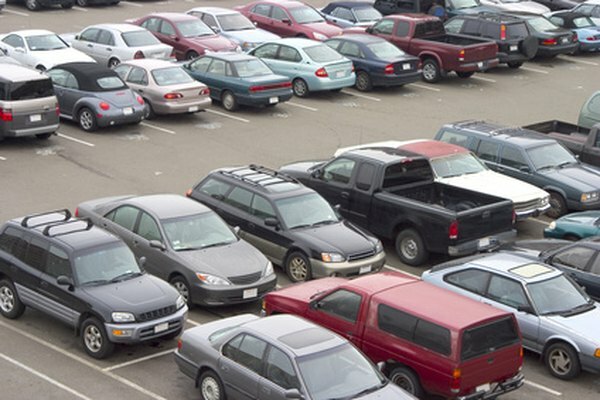 Most states require car insurance before new car owners can leave the lot. 1. Does Gap Insurance Cover Negative Equity? 3. Can Excess Miles on a Lease Be Written Off as a Tax Write-Off? You can see a real-time update of the number of vehicles rolling off assembly lines at the Worldometers website. The numbers tick by in rapid succession, but if you were to try to drive any of these off U.S. lots without insurance coverage, you would be looking for trouble. In most cases, state law requires insurance before leaving a dealership, so there’s only one answer to the question of how to drive a new car off a lot with no insurance: You don’t. The best way to avoid driving a car off the dealership lot without insurance is to call the agent who sold you your current policy and advise her that you are car shopping. If you already know the make and model you plan to buy, even better. Your agent can add the new car to your existing policy via a binder that covers you until your policy can be updated. Contact your agent again after sealing the deal to give her pertinent details on the car. You can choose to wait, but only if you know for a fact that your insurer covers customers when they buy new cars. According to Insure.com, some companies give customers from 14 to 30 days to report new car purchases. Before you choose a car, identify local insurance agents if you don’t already have one and comparison shop. Ask each broker and agent if they can sell you a binder up front that covers you so you don’t have to drive the car you buy off the lot without coverage. There's a good chance you will have to make a trip to the agent's office once you pick one, but you may find that it was worth the trip. Some insurers also offer car financing. Even if you say no to the insurer's financing, the quote can be used to negotiate a better rate at the dealership when you show your proof of insurance coverage. Not every car dealership offers shoppers the names of local insurance agencies with whom they do business, but some do. If you have no coverage, ask your car salesman about such resources before you browse the inventory. Alternately, if you have insurance policies covering other assets—a house, apartment, or boat, for example—you may be able to obtain a binder from that agent if the company also writes car insurance. Certain dealerships and insurance agencies offer a “gap insurance” product that pays the difference between what you paid and the sale price in the event you total the car after driving off the lot. It may sound counter-intuitive – after all, you're writing a check to get your hands on the car – but you can leave it on the lot after buying it, obtain insurance and then return to pick it up so you don't drive without coverage. Some situations may require you to leave the vehicle at the dealership even if you have insurance. For example, you’re finally getting rid of that old beater and now you’re buying a nicer automobile. If the minimal amount of coverage you carry on the beater is inadequate for the new car, you may have to leave the car on the lot until you make sure that you have enough coverage in place.